was found in 2008 and now becomes a industrial sewing machine manufacture integrated with R&D, manufacturing and marketing. We are stick on the policy of quality first with continuing improvement to promote the management and realize the customer's satisfaction. We are 100% sure that we will supply any customer from any country with the best quality, the best packing, the best price and the best service. During the whole developing period of our factory, we are based on the spirit of "unique and professional". We have a skilled and stable production team to maintain the stability of our high product quality. Our professional and experienced after-sales service team can solve all kinds of problems for our clients. Quanzhou Miqi Sewing Equipment Co., Ltd. PLEASE INFORM US IF YOU HAVE ANY COMPLAINT OR SUGGESTION ABOUT OUR PRODUCTS OR SEVICE. 2. ON-SALE: TO TRACKING SHIPPING INFORMATION AND SOLVE THE PROBLEM I IN THE TRANSPORT PROCESS. 3. AFTER-SALE: TO HELP CUSTOMERS SOLV THE PROBLEMS IN THE USE OF PRODUCTS. Zhongshan Longchang Automation Equipment Co., Ltd. The machine used new type Handle and Oil Lubrication pump, the function is more better and strong of the handle. product parameter: Bag material to be closed Kraft paper, PP/PE, woven cloth, cotton, hessian, jute. Max. 2.8/3.5 kgs product pictures: Machine parts show Work steps show Work effect show Packing list show For more informations, please contact us by mail or telephone call. 2. Improve productivity and working environment, reduce waste rate. 3. Blade head is easy to move and operate, suitable for all garment factories. 4. Long lasting ceramic blade & titanium coated steel blade are easy to maintain and not need for lubricate. Automatic Folding bag close sewing machine with low price Introduction of Automatic Folding bag close sewing machine with low price: It is suitable for closing filled bags and sacks made of cotton, jute, plastic and paper etc. 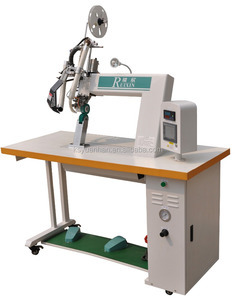 It has the features such as semi automatic mechanical thread chain cutting, high sewing speed, low noise, easy mintenance and long operating lift etc. It is specialized in the production of Packing, filling and printing machinery , We will supply 100% QC inspection before shipment and 100% guaranteed after sales service. 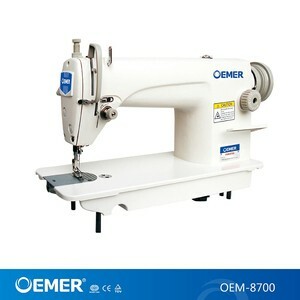 Alibaba.com offers 13,459 price for industrial sewing products. About 45% of these are sewing machines, 7% are thread, and 1% are sewing threads. 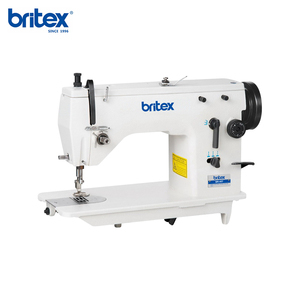 A wide variety of price for industrial sewing options are available to you, such as industrial sewing machine, household sewing machine, and mini sewing machine. You can also choose from manual, multiple, and needle feed. As well as from flat-bed, cylinder-bed, and post-bed. And whether price for industrial sewing is lock stitch, cover stitch, or overlock stitch. 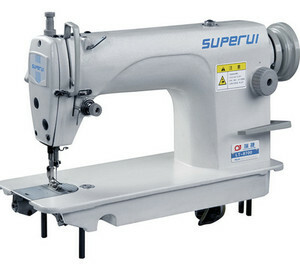 There are 13,472 price for industrial sewing suppliers, mainly located in Asia. The top supplying countries are China (Mainland), Singapore, and Hong Kong, which supply 96%, 2%, and 1% of price for industrial sewing respectively. Price for industrial sewing products are most popular in Africa, Southeast Asia, and South America. You can ensure product safety by selecting from certified suppliers, including 2,009 with ISO9001, 1,284 with Other, and 99 with ISO14001 certification.